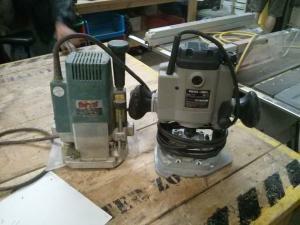 Standard Porter Cable Plunge Router. Great for hand work, not so good on the router table. Use the other one if you can. Belongs to Simon Clark, long term loan to Diyode.